It's the final GAME DAY of the 2015/16 season. 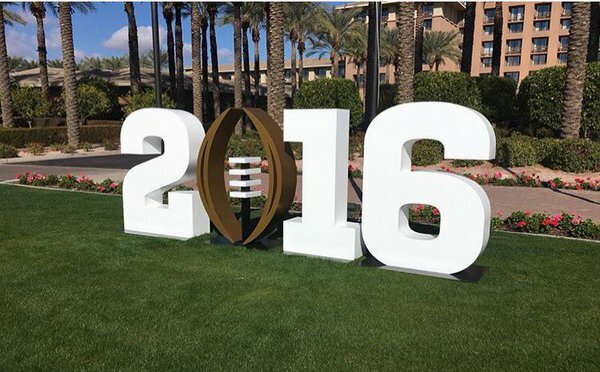 Tonight the Clemson Tiger Marching Band meets the Alabama Million Dollar Band in the National Championship game. This is an amazing experience for the students and staff of both bands. It is also the one night where ESPN goes all out and shows you every possible angle of the game on their megacast. And that means band fans become Cinderella and get their wish of seeing both band's pre game and halftime shows broadcast live on TV tonight and tonight only. For band fans and parents of those marching you'll get the experience of seeing it in person without any commercial interruptions. If we want this to continue to happen each year on at least this grand stage we need to make sure we tell EVERYONE! Share this article so fans across the world know how to watch it. Let's make sure ESPN knows how important the bands are! "Sounds of the Game (ESPN Classic and ESPN3): ESPN’s game telecast — sans commentators — will be amplified with dozens of microphones positioned throughout the stadium in addition to the public address announcer and referee calls to recreate the in-stadium fan experience of being seated at the game. This will include full coverage of the pregame on-field entertainment and halftime band performances." Over 90 cameras will be used in tonight's megacast of the game. ESPN Classic is where you can find the bands and listen to them throughout the game without any announcers! If you don't get ESPN Classic head online to ESPN3 to watch this option. 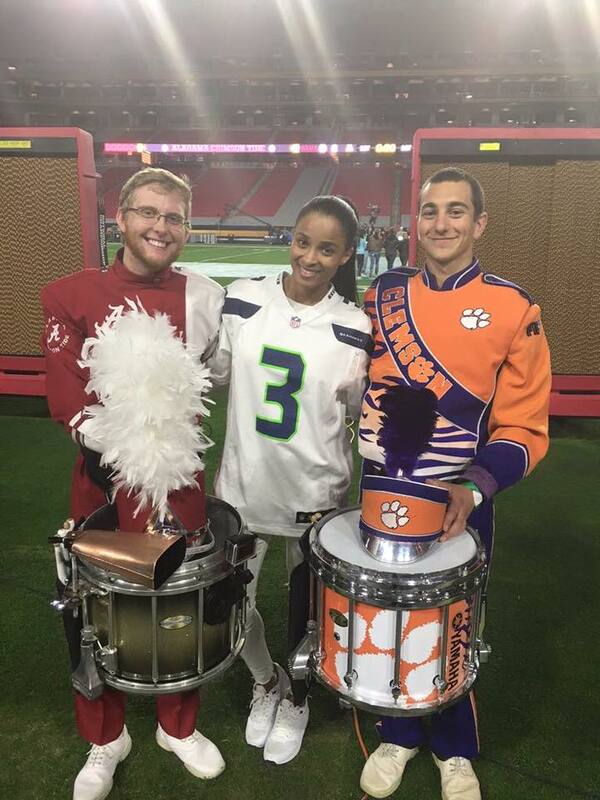 Also we have learned that the Alabama and Clemson drum lines will be joining singer Ciara during the National Anthem for some kind of joint performance. We are not sure what exactly is going to happen, but you should be able to see both drum lines during it on TV at the least.